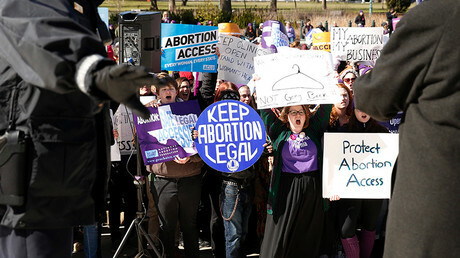 The US Supreme Court has blocked enforcement of a Louisiana law that could have led to the closing of all but one of the state’s abortion clinics. This comes as judges took up a more controversial abortion legislation from Texas. The justices ruling 7-1 on Friday reverses a federal appeals court in New Orleans that would have allowed the state to begin enforcing a clinic regulation that would have required doctors to have admitting privileges at nearby hospitals. The order shows a majority of the high court is unwilling to permit conservative states to enforce stringent regulations. If the law had gone into effect in Louisiana it would have left the state with only one doctor licensed to perform the procedure, according to the Los Angeles Times. Earlier this week, the Supreme Court heard testimony on a similar case in Texas. The order will keep the law on hold until the justices rule in that case. Today’s ruling comes after abortion-rights lawyers filed an emergency appeal with the Supreme Court via Justice Clarence Thomas to stop enforcement in Louisiana. Justice Thomas has agreed to handle such appeal arising from the 5th Circuit Court of Appeals since the sudden death of Justice Antonin Scalia. The Supreme Court is operating with eight justices since Scalia's death last month. The order on Friday, with only Justice Clarence Thomas noting his dissent, showed that it might be Justice Anthony Kennedy who could provide the crucial swing vote to both sides in future rulings. In the Louisiana case, if the law had been enforced, the state would have been left with a single abortion provider expected to meet the needs for approximately 10,000 abortions. Abortion-rights groups from the state said “previously that need was met by six physicians in five clinics across the state,” according to AP. 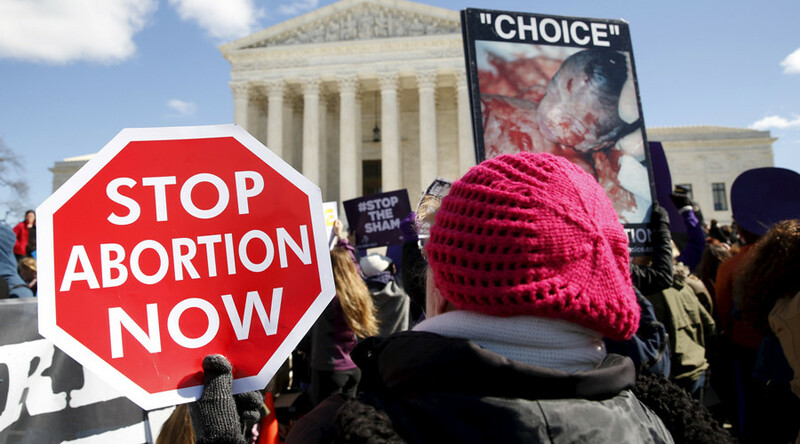 The US Supreme Court is also considering a Texas law placing tough new restrictions on abortion providers that would potentially shut down all but nine or 10 clinics across the entire state. Essentially, the law mandates that any doctor performing abortions also have admitting privileges at a hospital within 30 miles of the clinic they work in, so that they could deliver patients there in the event of an emergency. The law also requires clinics to upgrade their standards to meet those of an ambulatory surgical center. Opponents have argued that the regulations impose an “undue burden” on women, making it more difficult for them to seek out an abortion while doing little to make the procedure safer. Supporters of the law have argued that the regulations are intended to improve safety standards for women and protect their health. The number of abortion clinics in Texas has already shrunk from 40 to 18 as a result of the law. If the restrictions are upheld by the high court, it is expected that another eight or nine will shutter their doors, and that other states would try to implement similar legislation.